As written on the title, this time, I will introduce “Hojoe (放生会)”. 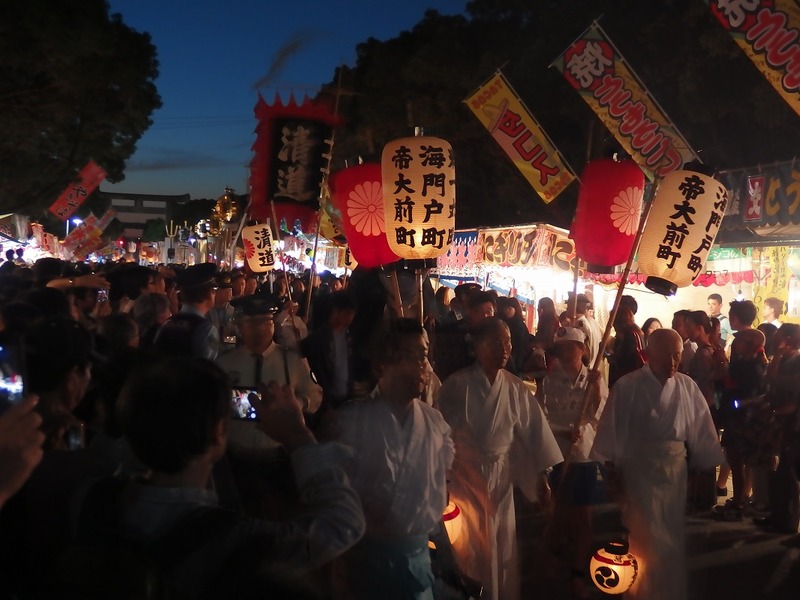 It is called one of Hakata three major festivals (It is called “Hojoya” in Fukuoka). 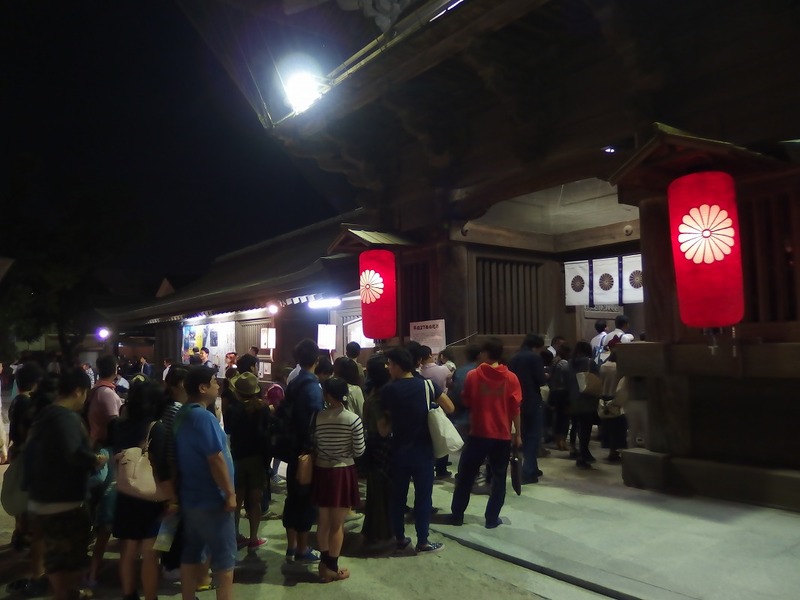 Hojoya is a religious event that has been held in shrines and temples throughout the country. 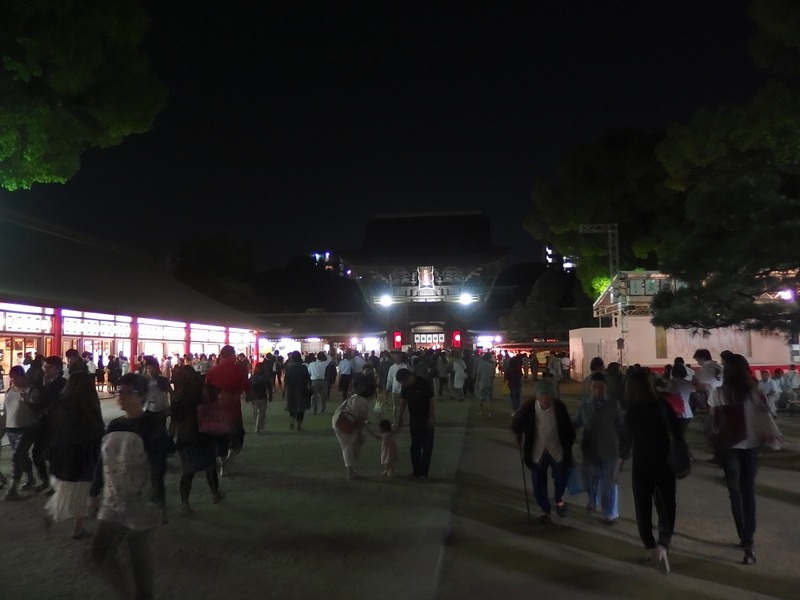 Among them, the festival in Hakozaki shrine (筥崎宮) of Fukuoka is famous nationwide, and many tourists to visit. 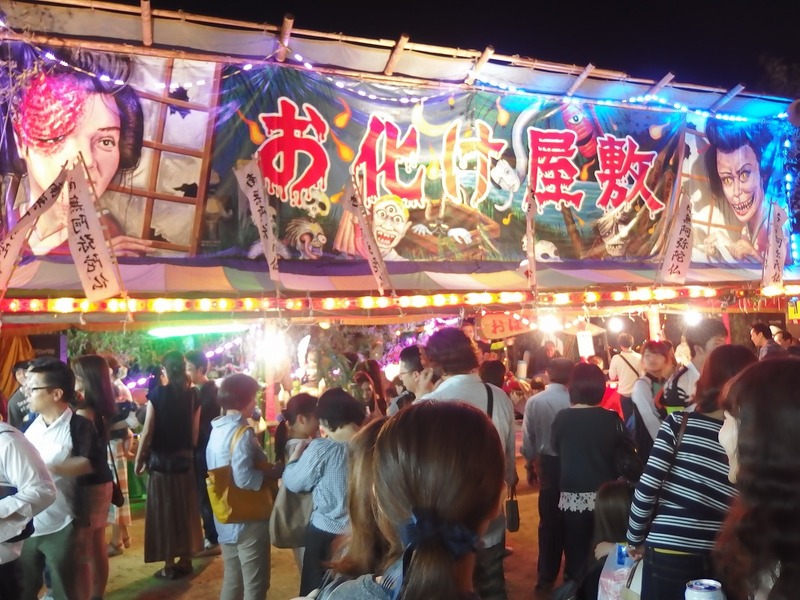 Generally, it is known as the festival for “Do not indulge in wanton wasting of life”, “Cherish the life” and “Dedicate thanks to fruitful earth”. It is a little similar to Thanksgiving Day, isn’t it? In the old days of Japan, because there was the custom that both the ancient Japanese Gods and the Buddha were worshiped in the same way, this Hojoya also have been made in the country of shrines and temples now. What is Hojoe in Fukuoka like? Hojoya, being held in Hakozaki shrine 12th to 18th of September every year is said to be started from more than 1000 years ago. 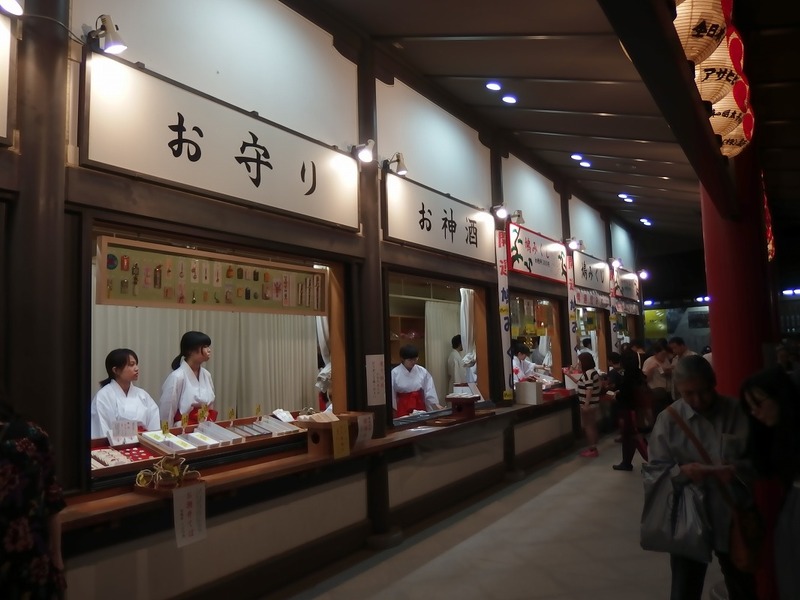 It is the autumn festival, which has continued to be loved by Hakata of residents from the old time. Dontaku, Yamakasa and this Hojoya are said to be three biggest festivals in Hakata. 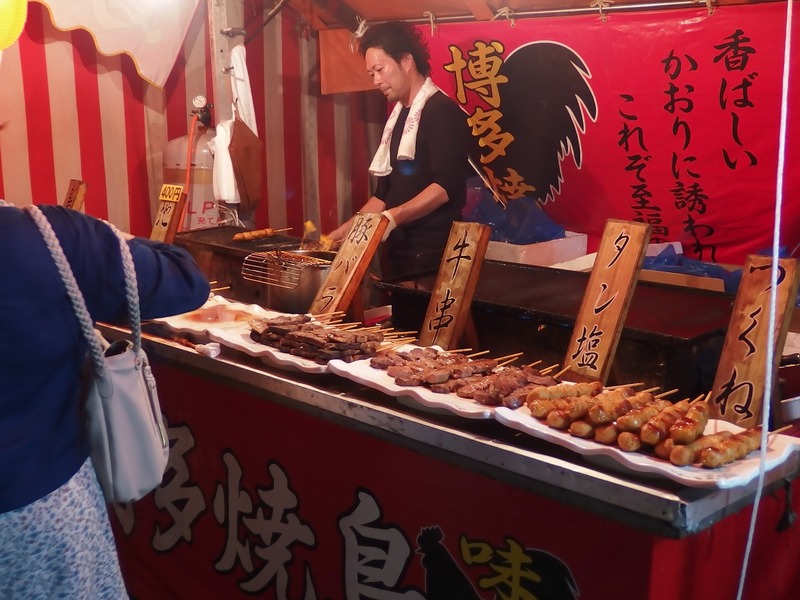 As a characteristic of Hojoya of Fukuoka, there is a large number of stalls, which is said to be about 700 stalls are set in the 1 km of the approach to the shrine. 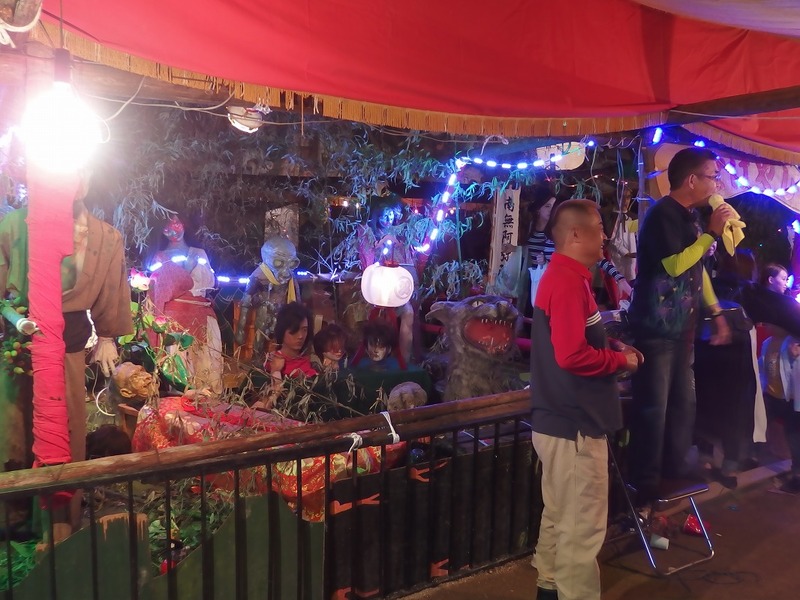 They sell food, drinks, toys, and even pottery and plants. 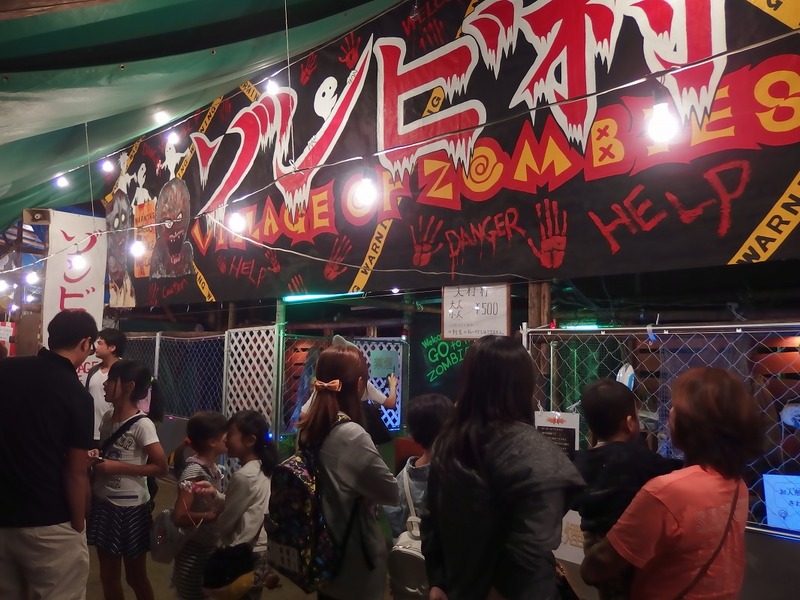 There are “Shateki (shooting game)”, show booth or maze booth, many different kinds of games and stalls as well. In old time, ginger field had spread around the Hakozaki shrine. 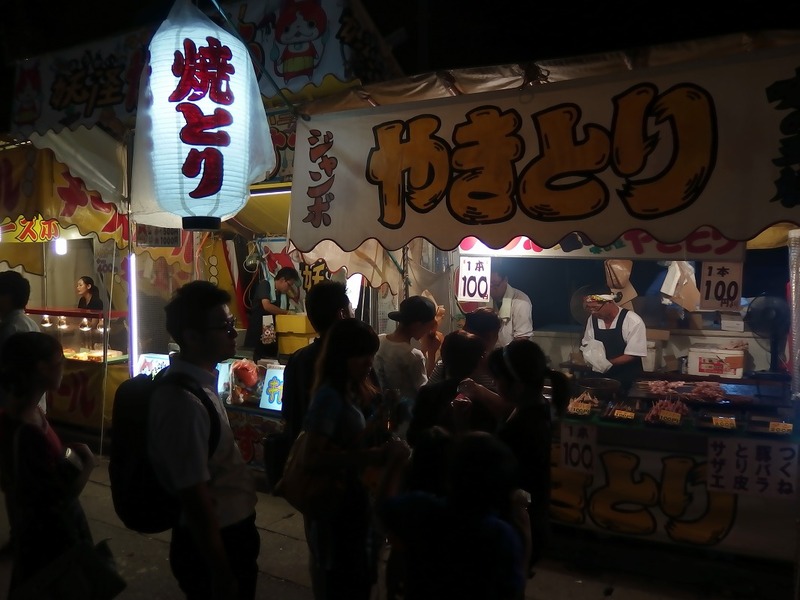 people were able to buy ginger when they visited the festival. 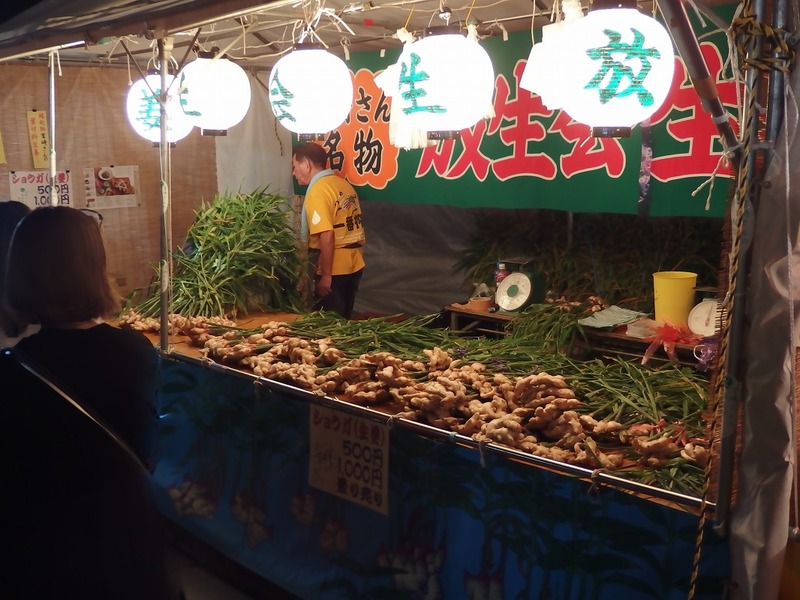 Ginger is being sold in the festival nowadays as a tradition. 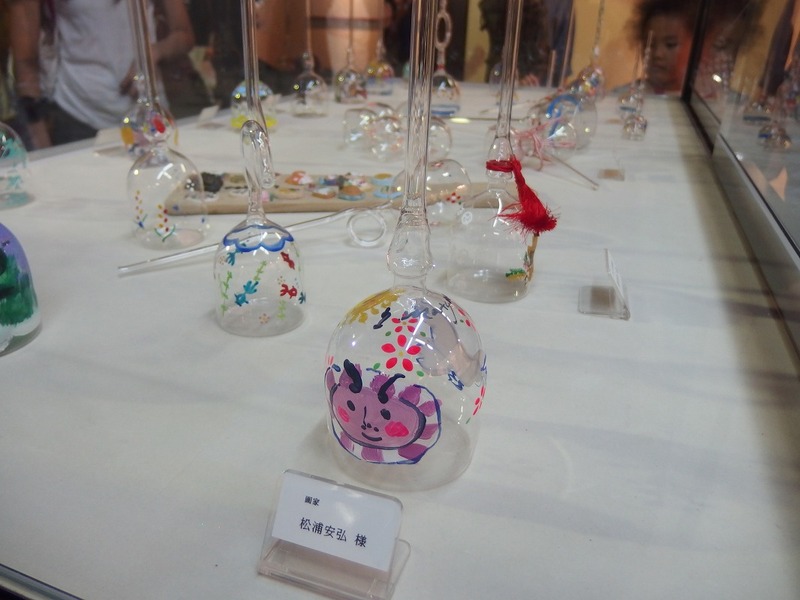 Ohajiki; Ohajiki is a kind of toy that introduced from China long time ago. 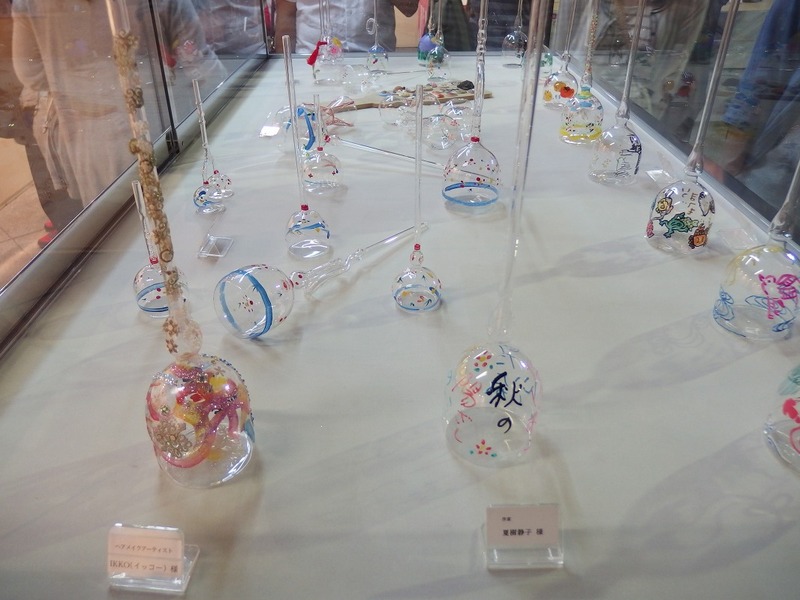 It is about diameter 1 cm ～ 1.5 cm, coin shaped glass balls. Normally, we flick Ohajiki with our fingers, to hit others in a game. 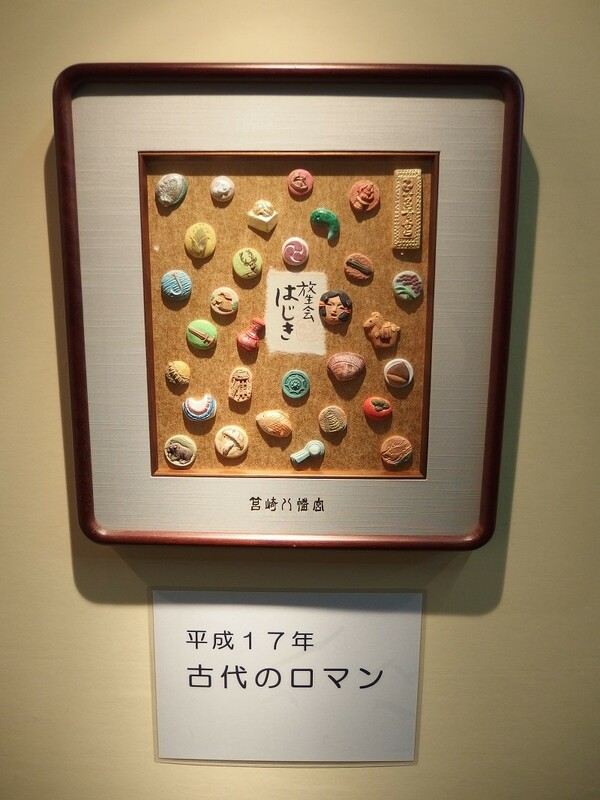 This name of “Ohajiki” is similar in pronunciation to the word “Yaku-wo-hajiku (flick the misfortune; repel the misfortune)” in Japanese, so this Hojoya Ohajiki is well known as a lucky charm. The history of “Ohajiki” of Hojoya started from in about 1979. Hojoya Ohajiki is made of unglazed soil. It is carefully made by Hakata doll makers one by one, and various coloring have been done on this Ohajiki. It is very popular because its design is changed every year. It’s sold out in an instant every year as only limited stock. It seems we have to line up in a long line from the day before to get it. Boxed set (30 pieces) is 3000 yen (1000 boxes only), and Framed set (30 pieces) is 10000 yen (200 pieces only). Chanpon; It is a crafted glass. From the sound emitted when you blew this Chanpon, it seems to have become the glass-work so called Chanpon. 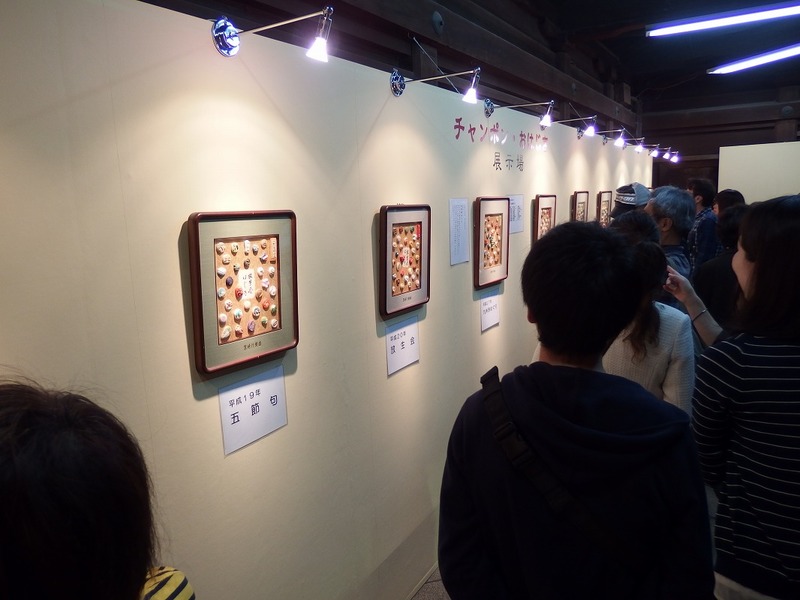 It’s the popular goods that maiden of Hakozaki shrine performs painting on it. Other than the new ginger that I just introduced, there was a variety of stalls. 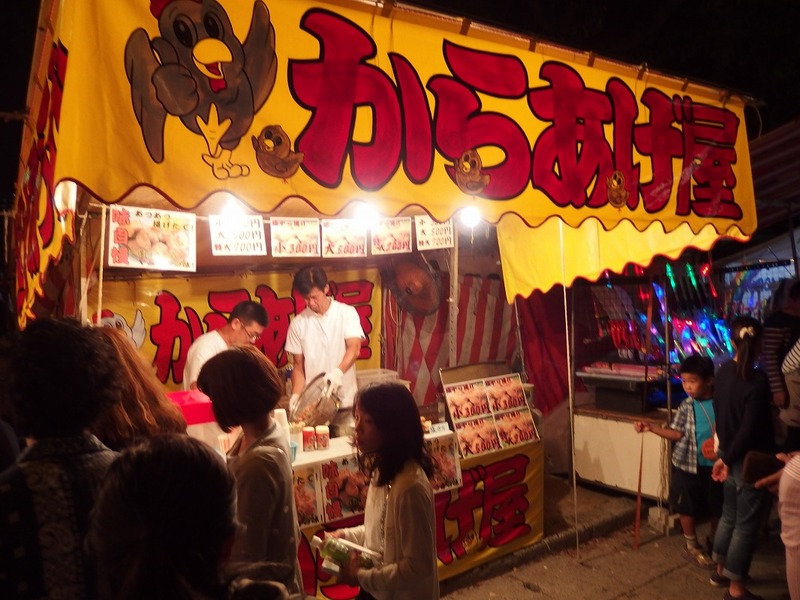 At first the barbecued chicken which is basic in the festival of Japan. 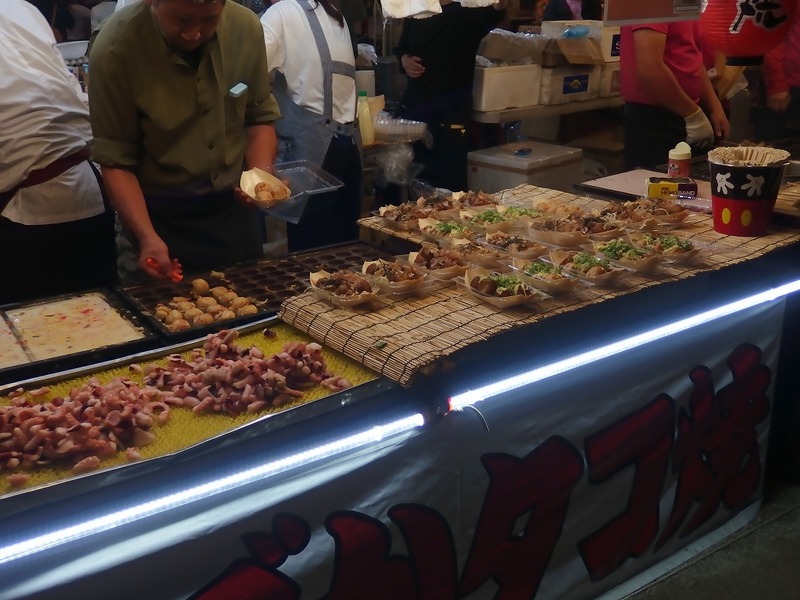 A lot of street food can be found here, like fried chicken, Takoyaki (A ball shaped snack, basically filled with diced octopus), Okonomiyaki (Looks like pancake, but containing a variety of ingredients), Dumpling, Ikayaki (Grilled squid with soy sauce), and much more! 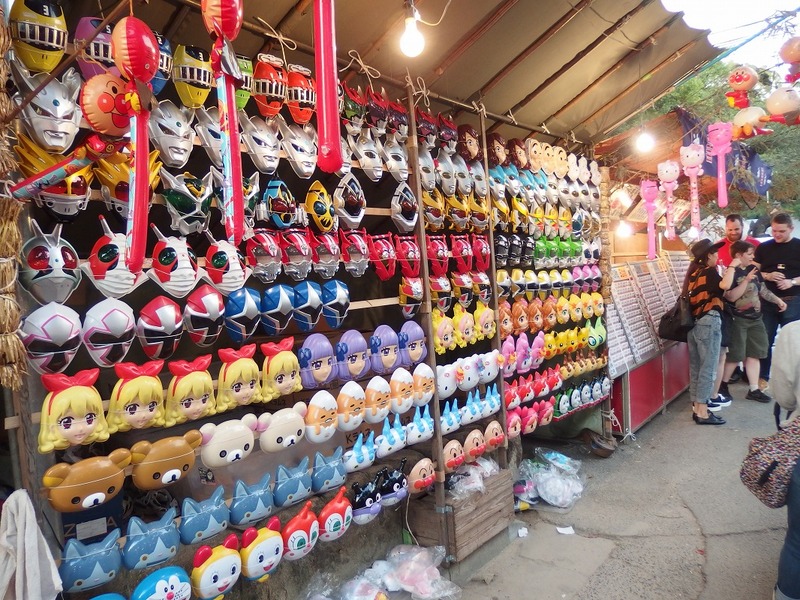 Not only the food but also various toys are sold. This is the area where the experiential attraction booth lined up. 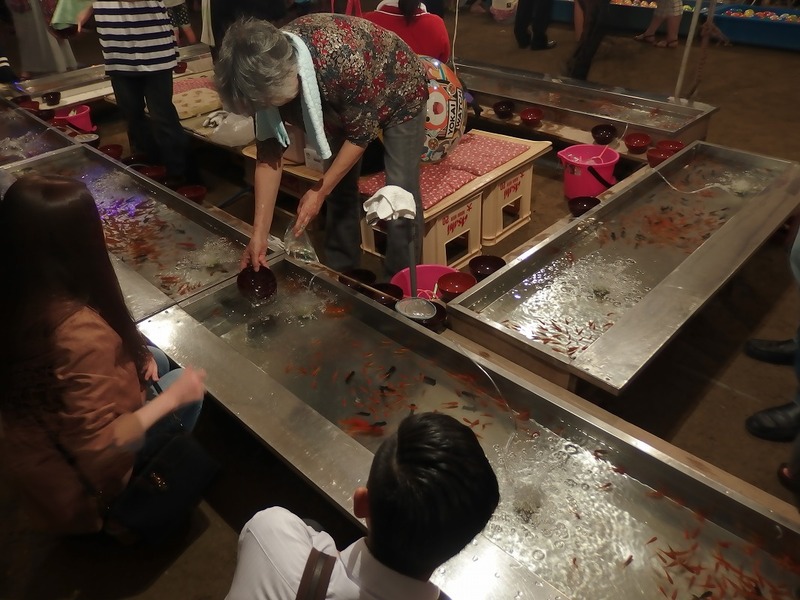 The photos below are “Shateki (shooting game)” and goldfish scooping booth. 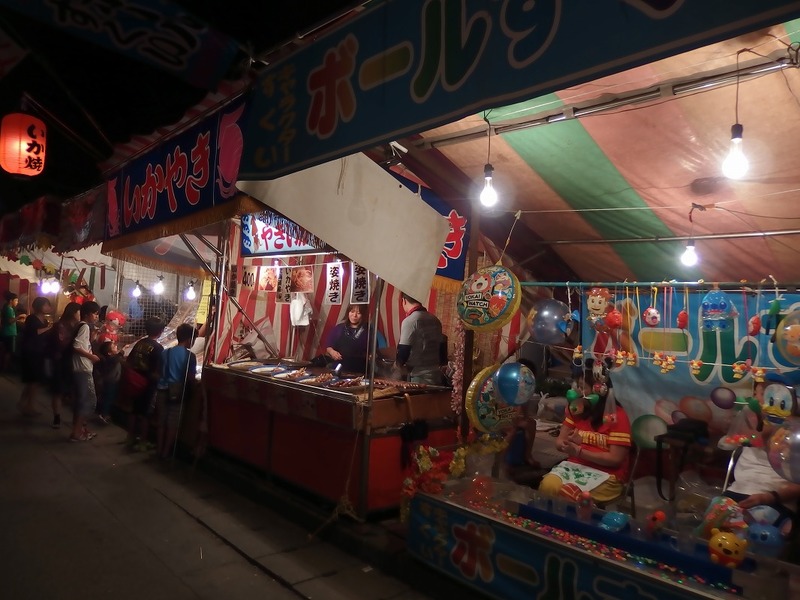 And “Obakeyashiki (haunted house)” can be said the specialty of the festival. In the old-fashioned way, a barker standing in the booth is attracting customers. Everybody was attracted by the voice of the barker and went the inside one after another. Another type of horror show booth. Is it because of the zombie boom? 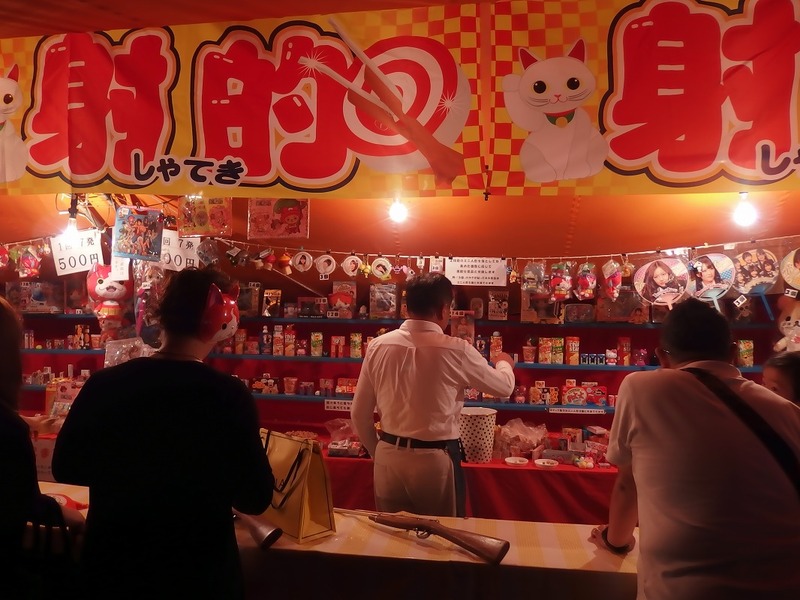 You can find this area of experiential attraction booth on the right side towards Hakozaki shrine. If you walk straight down from the Hakozaki shrine to the direction of Hakozakimiya-mae station, then you’ll find the way to this area on your left side after you passed the station. What can we see at the shrine? In the precincts of Hakozaki Shrine, goods such as amulets are also sold by the maiden. In the precincts, Ohajiki and Chanpon are displayed which I introduced earlier. At least, you can still see it here if you couldn’t buy it. There were a lot of people praying. 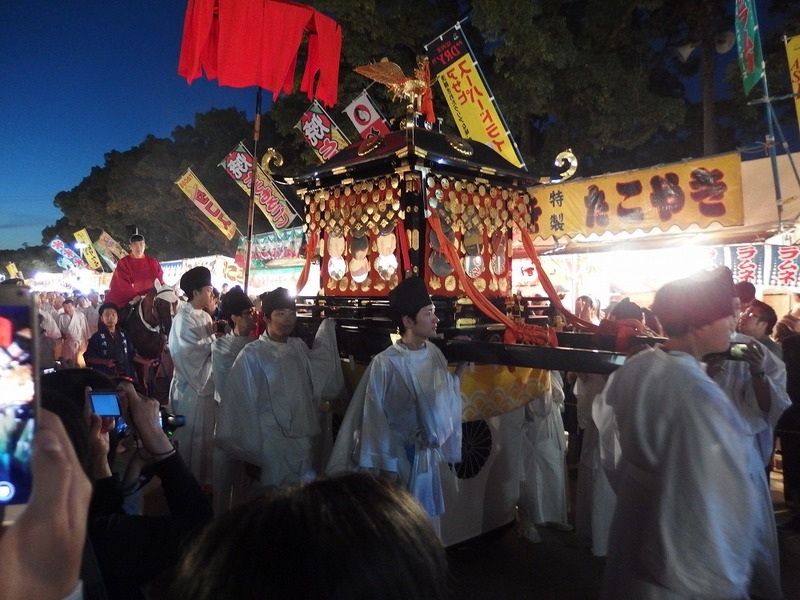 During the festival, you can see “Mikoshi (portable shrine)” which has been designated as an intangible folk cultural assets of Fukuoka.The “Shintai”, the object of worship of Hakozaki shrine is transferred to this Mikoshi, and parade around in the town. However, we can see this only every two years (odd-numbered years). So, I could see it in this year of 2015. 6:00.pm. on the 12th, Mikoshi takes the course (down course) start from Hakozaki shrine and stop at some point, it takes 4 hours. 7:00.pm. on the 14th, the parade goes back to the shrine taking the course (up course). This return way is shorter and takes only 1 hour. 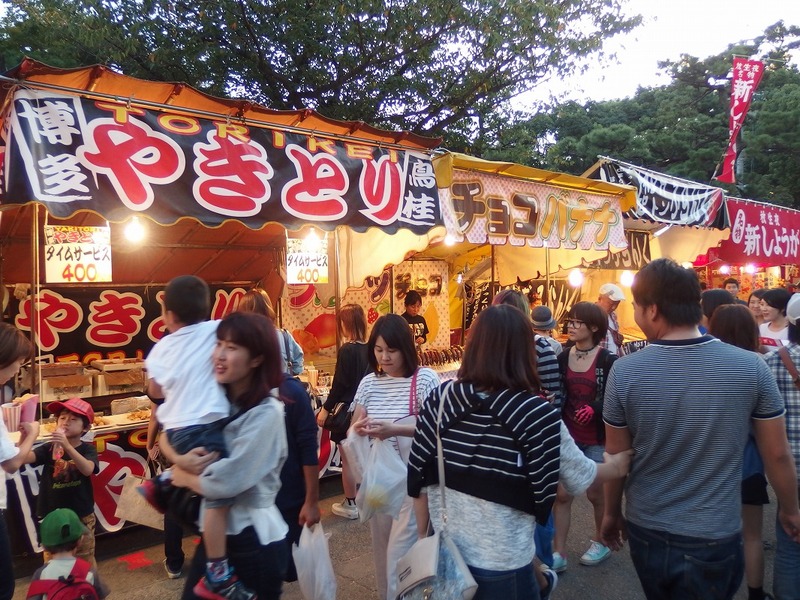 Well, did you feel the atmosphere of the festival in Hakata? 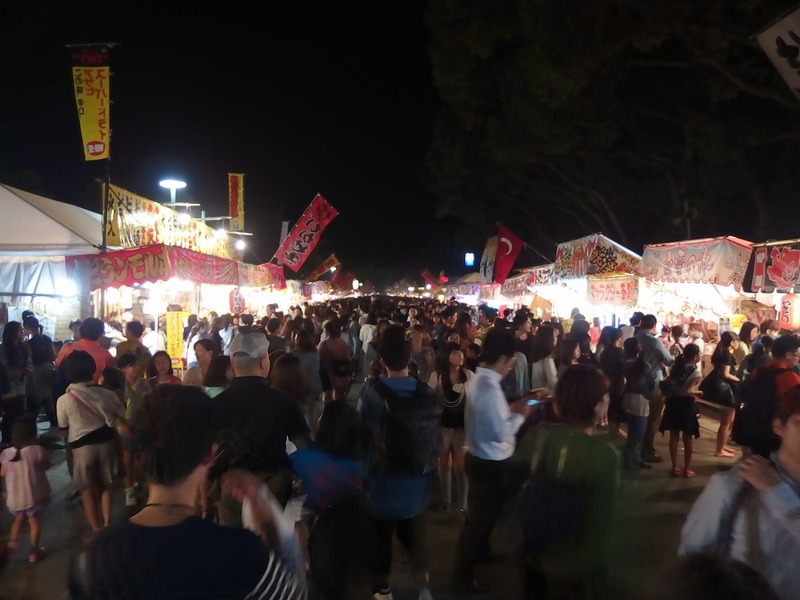 The schedule of Hojoya festival is always 7 days, from September 12th to 18th. Why don’t you come and see this festival next year? From Hakata station: Use subway airport line towards Meinohama (地下鉄空港線-姪の浜行), transfer to subway Hakozaki line towards Kaizuka (地下鉄箱崎線-貝塚行) at Nakasukawabata station (中洲川端駅). Get off at Hakozakimiya-mae station (箱崎宮前駅), walk 5 min about 400 m./ Or use JR Kagoshima main line (JR鹿児島本線) and get off at JR Hakozaki station (JR箱崎駅), walk 10 min. Note: Most of stalls close early when it comes to the last day of the festival. On the last day, it’s better to visit there during the day time. ← What is “Michi-no-Eki”? Resting at a local roadside station in Fukuoka.